Our son applied his teachings this week to defend himself. Sensei Dave's teachings are clear; walk away, tell them to stop, if they touch you - apply what you know and our son did. The student got a 2 day suspension. 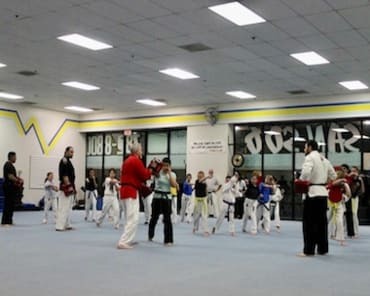 All the great Sensei's at the studio have helped our son, Dania develop his self confidence and assert himself in defending himself. The fact that Dania didn't think twice because it was a girl, is a big accomplishment for him. We are very proud of him. Thank you to all the wonderful Senseis! I've trained with Dave for the better part of 25 years. I've watch both young and old people gain self confidence, maturity and an education in "street fighting". You cannot put a price on any of those attributes. thank you Dave for your dedication no only to the "art" but to the spreading of your knowledge to so many people who need it. 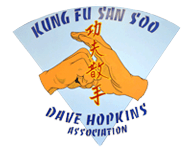 If you want to learn how to really defend yourself go to Dave Hopkins! This is not sport fighting, this is real self defense that you use on the street. I trained karate when I was younger and never quite felt confident that I could really use it in the real world if I had to, but with kung fu San soo I feel much more confident. In addition to kung fu he offers grappling, kickboxing, and conditioning classes! This place is worth every penny.